There are books that I love. If asked, I could rattle off a pretty decent list. Then there are the books I'm in love with. I could count those on one hand. 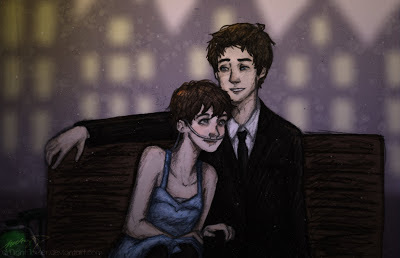 I am in love with The Fault in Our Stars. Head over heels in love. This book stole my heart and captured my mind. It also broke my heart. It is, by far, one of the most phenomenal books I have ever read. I was blown away by John Green. I've never read any of his other books, but now it is glaringly obvious that I've made a huge mistake by overlooking them. He is utterly brilliant. While I was devouring The Fault in Our Stars, I took out a package of sticky tabs and began to bookmark every quote that made me laugh, brought tears to my eyes, or struck me as profound. In the end, I ran out of sticky tabs. His words are beautiful. Hazel now ranks among my top fictional heroines. She's incredibly strong and intelligent. Her wit won my affections, her illness my pity, and her personality my heart. 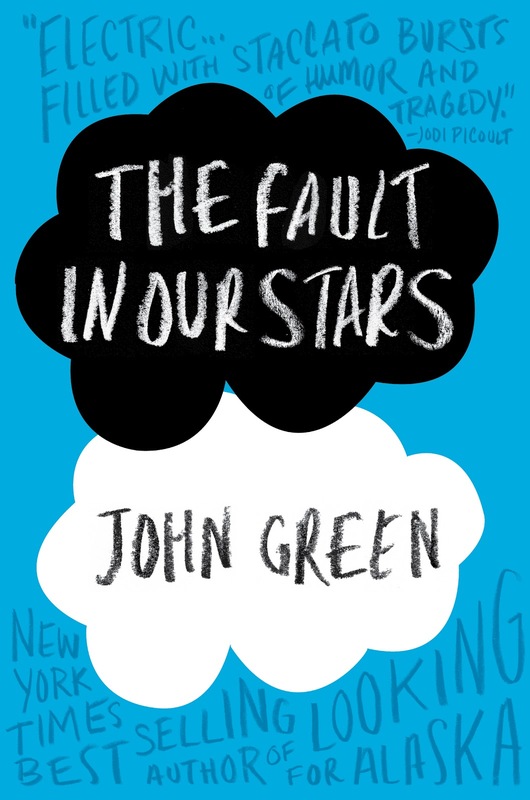 In a way, I felt that I was Hazel as I read the story. Augustus is equally deep. He felt as realistic and honest as any person I've ever known in real life. He is far from perfect, but in a way, that makes him perfect. He is real, not some ridiculous sparkly vampire or brooding bad boy. Augustus Waters is, as far as I'm concerned, a real person. Hazel is real. They live in the minds of readers far after they've fallen in love with this story. This is a cancer book, but it's unlike others I've read. It does not romanticize the illness. It reveals it for the painful, horrifying experience that it is. While it may be categorized as a cancer book, there is so much more to the story. It is a tale of self-discovery, acceptance, love, and the beauty of life. It makes you step back and appreciate all that you have. I can remember crying while reading two books before. Sure, I've teared up plenty of times, but I have never legitimately bawled at a book like I did while reading The Fault in Our Stars. 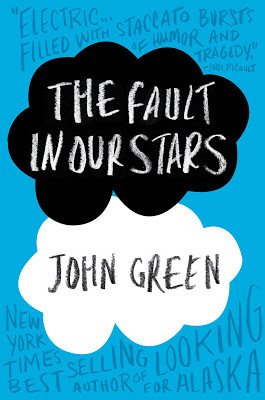 This book affected me like I never could have imagined. I was inconsolable for a good hour, and then I went back to reread all of my favorite parts. Even after that I stayed up late contemplating the brilliance of the novel. To be fair, this book is also hilariously witty and intelligent. It is not all sadness. There is a great deal of happiness between these 313 pages. As John Green said, “Sometimes, you read a book and it fills you with this weird evangelical zeal, and you become convinced that the shattered world will never be put back together unless and until all living humans read the book.” This raving, fan-girly review is my zeal. If you read one more book while living, make it this one. The Fault in Our Stars is perfect.